Chris and Amy are superstars! Best customer service I've experienced in a while and our windshield looks like new. I was in and out of the shop in less than 30 minutes and couldn't be happier. A few months ago, you installed a new windshield on my Jetta. Last week, I was in a serious collusion with a moose. 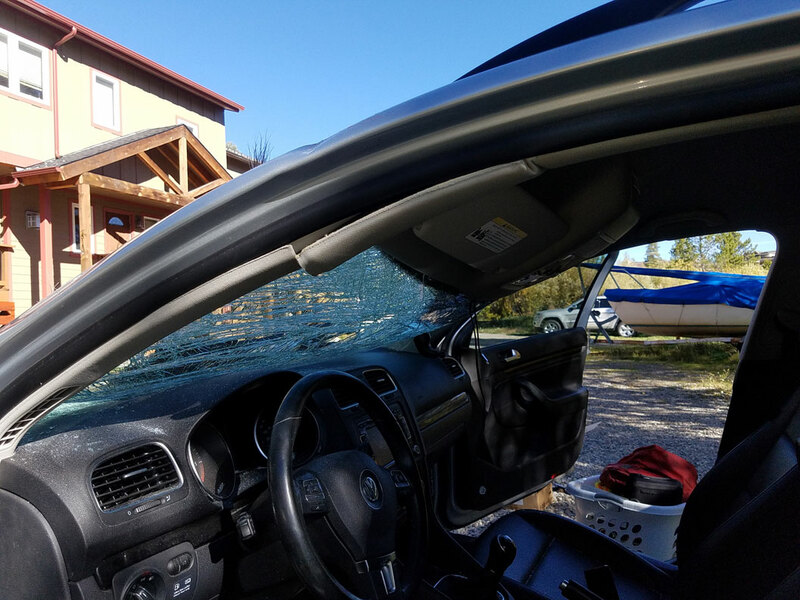 The moose did extensive damage to the car, including bouncing off the a-pilar / windshield and caving in the roof of the vehicle. I was pretty lucky to walk away. I certainly credit the lower to the ground vehicle for sending the moose over the top, however, I wanted to extend my thanks and recognition for a quality installation! From the attached photo, you'll see that the windshield held up well enough to keep the moose on the outside of the car. I'm quite thankful for that. Keep up the good work!